Specializing at indoor plumbing repairs, water heaters, new fixtures, remodels, additions, and more. Wallace Plumbing Inc. has been serving all your indoor plumbing needs in Columbia and Mid-Missouri. With four master plumbers and 100 years combined experience on staff, we have the knowledge and experience to solve your plumbing problems. Your call to us will be answered by a knowledgeable master plumber who can answer all your questions, suggest options, and assist in determining a solution that best suits your needs. 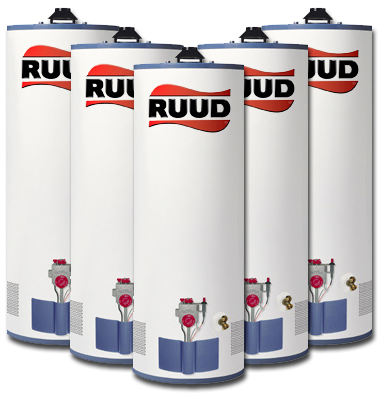 We offer same day water heater replacement, most repairs, and flexible scheduling to accommodate your busy work or family schedule. Our guarantee is our mission statement; satisfy the customer with quality workmanship or no labor charge. Period. Wallace Plumbing Inc. strives to offer the highest quality and value in plumbing service. Thirty years in business and thousands of satisfied and repeating customers prove we are achieving that goal. If you’re not yet one of our customers, maybe you should give us a call. We can often quote or closely estimate most work over the phone by a master plumber. We also offer senior, church, disabled, veteran, and some volume discounts. Customers don’t always need a service call but some times need advice or information about an issue they are experiencing. Our staff of master plumbers are always ready to offer their expert advice on the cause, effect, and solution to your problem. Give us a call! Call for a low quoted price.